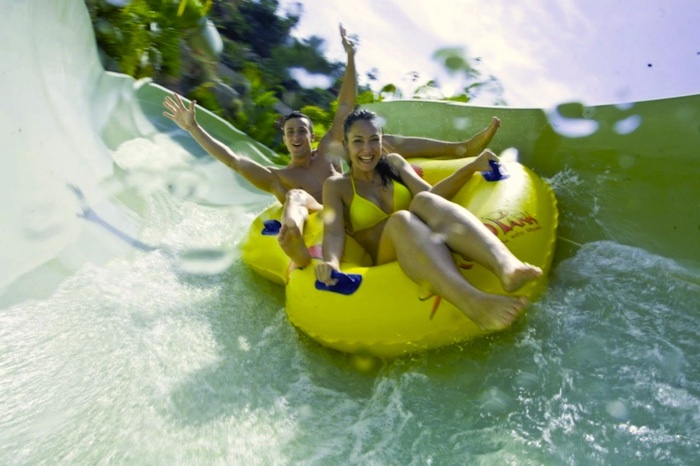 Welcome to the best water park in the world (according to the reviews website TripAdvisor), a unique place where the whole family has its exclusive place for fun, adventure and excitement. 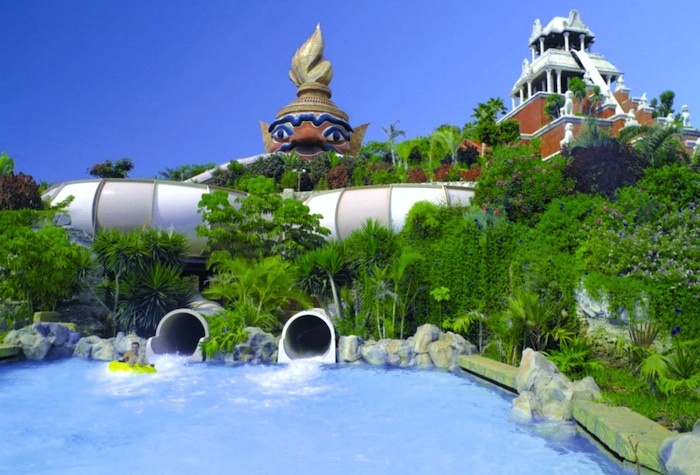 Siam Park is the largest themed water park in Europe, located at Adeje (South Tenerife). 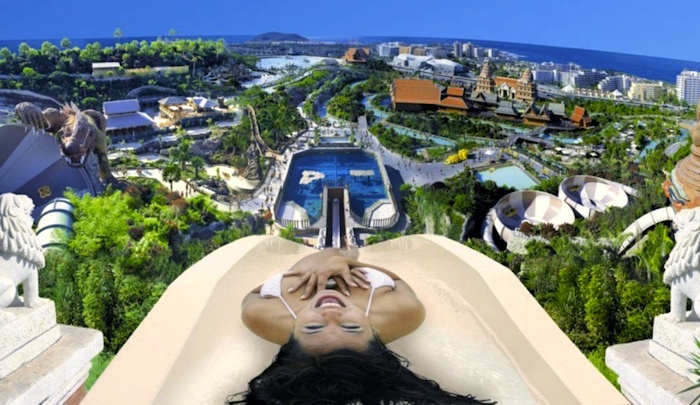 Each attraction provides a unique experience in a magical setting, combining the exotic mystery of the ancient kingdom of Siam with the thrilling adventure on exciting slides. Climb to the top of the "Tower of Power", take a deep breath and hold on tight while dropping on a vertical slope of almost 28 meters. 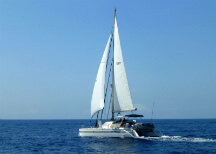 Relax while you're floating down a meandering river or sunbathe and enjoy the beautiful view on the white sand beach. "Sawasdee" is the new children's area, with numerous ways of providing endless fun for your children, and 4 different slides. 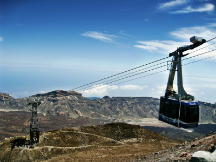 Test your bravery with the new "Kinnaree" ride, at more than 25 meters high. Go into a funnel at a 45 degrees tilt, continue the ride by sliding rapidly and become a true great wave rider, while heading towards a thrilling unrivaled curve. The resort's bars and restaurants allow you to savour a combination of oriental and traditional food in a unique Thai atmosphere, or simply enjoy our choice of cocktails with an exotic appetizer. All Tickets are 'open', so you can use them whenever you want (they must be used though within the same season - summer or winter -). Doors close: 5pm in winter (from October 22nd to March 29th) and 6pm in summer (from March 30th to October 21st). It is not allowed to enter food or drinks into the Park. Children up to 2 years (inclusive) do not pay. The bus runs every 30 minutes, from 9:30am to 2pm and from 3pm to 6:30pm. 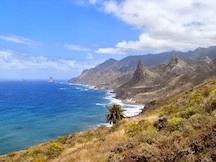 Pick ups from several locations within Puerto de la Cruz. From 8:40 am to 9:20 am, depending on the location of your accommodation. Menu For Adults: Spring roll, Thai Wok, fruit salad, drink and bread. Menu For Childrens: Chicken nuggets, potato chips, scoop of ice cream and drink. 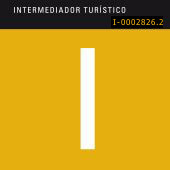 The Twin Ticket includes admission to the two most important parks in Tenerife: Loro Park and Siam Park. Once you visit one of the two parks (of your choice), you have 15 days to visit the other park. In addition to the Twin Ticket entry to access Loro Park and Siam Park, you will have access to the bus service, back and forth to the park. The pickup in the morning is between 7:00 am and 9:00 am (exact time and place of pickup depends on your place of stay, and will be confirmed once the reservation is made).